LG smartphones now available at Home Credit! 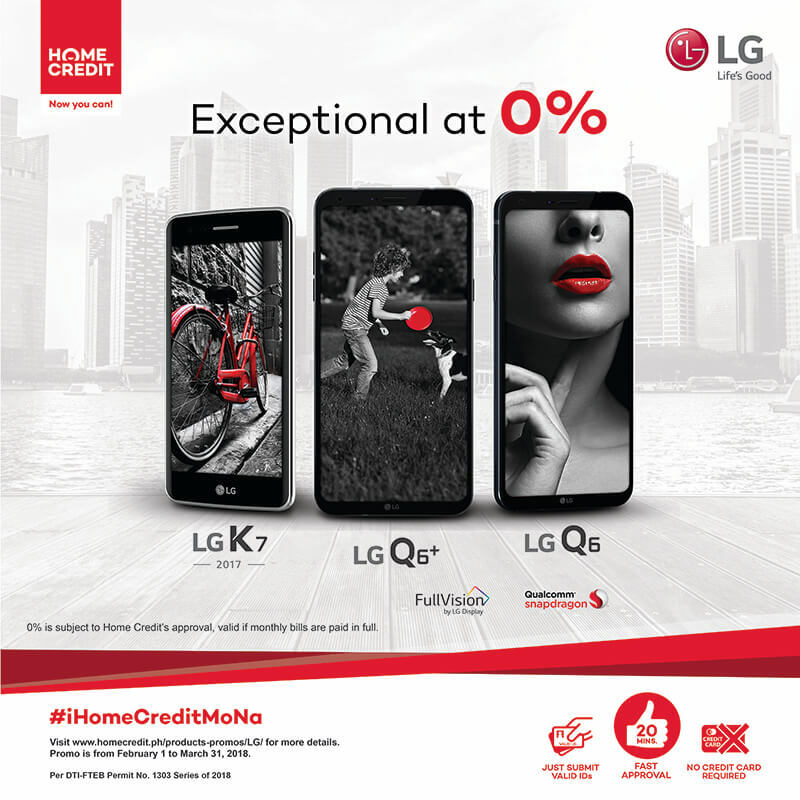 Home / lg / mobile / news / LG smartphones now available at Home Credit! Home Credit has been making ways for making new smartphones more accessible with their 0% interest installment programs. Now, they have LG devices in the mix as well. You heard that right! You can now acquire three LG smartphones through Home Credit's 0% intrerest installment plan. The three LG smartphones that are in the program are the LG K7 2017, LG Q6 and LG Q6+. You can get these devices at 0% interest in a 6 month installment plan. These devices are powered by Qualcomm Snapdragon SoC. The LG Q6 and Q6+ even has the FullVision displays for that nearly bezel-less experience. You just need to submit a couple of valid IDs and in just 20 minutes you will be approved for your installment plan. There is also no credit card required. The promo will run from February 1 until March 31. More information will be posted at the Home Credit Philippines website.